As the largest ecosystems on the planet, our oceans are crucial to all life on earth. Covering more than two-thirds of the earth’s surface, oceans produce 50% of the oxygen we breathe and a sixth of all animal protein we consume, and play a crucial role in our global economy. 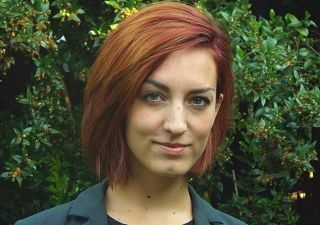 In the 14th blog of the Corporate Citizenship SDGs 2015 blog series, Manon Van Paaschen evaluates SDG number 14: Conserve and Sustainably use the Oceans, seas and marine resources for sustainable development. The livelihoods of around 3 billion people around the world depend on marine and coastal resources, generating millions of jobs in industries as diverse as tourism, fishing, shipping, and biotechnology. The ocean can play a significant role in global development and has the potential to lift millions out of poverty, but marine ecosystems are threatened by human activities, and we need to protect the health of our oceans to survive and prosper. This year is a big year for the ocean. Whilst under the MDGs, the ocean was captured under the broad goal of ‘ensure environmental sustainability’, the SDGs give the ocean a much needed and focused attention with its own goal and underlying ten objectives. 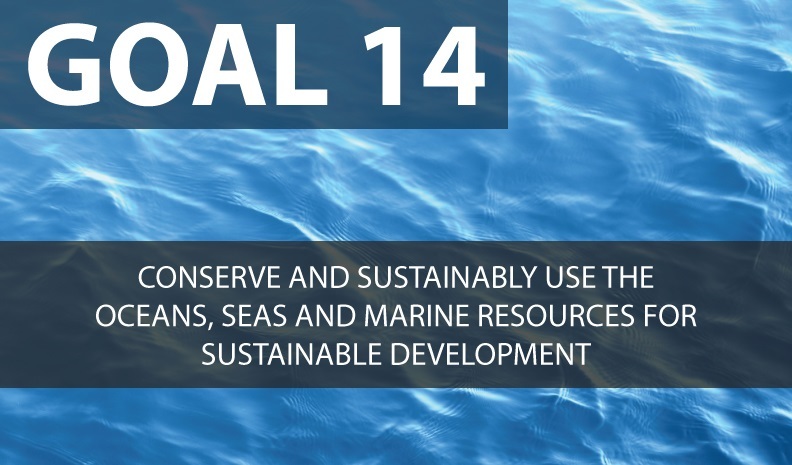 Goal 14 will commit world leaders to ‘conserve and sustainably use oceans, seas and marine resources for sustainable development’. The UN has discussed issues concerning the ocean with world leaders since 2008 in the annual meeting of the World Ocean Council, but involvement from the private sector has been limited. There is hope that with a dedicated goal under the SDGs, companies will recognise the importance and value of our oceans and coastal areas, and will take a proactive stance on protecting its resources. Part of the problem is that it is very difficult to estimate the value of our ocean and to account for the costs of exploiting it. The WWF’s report on the Ocean Economy estimates that the economic value of the ocean as an asset is $24 trillion, which includes the value of the ocean’s direct outputs such as seafood, the value of the ocean as a shipping way, the value of its coastline, and the value of its ability to absorb around 30% of our carbon emissions. However, this estimation is based on the value of marketed goods and services: it doesn’t take into account the intangible value of the ocean, such as water filtration by mangroves and wetlands, biodiversity, and the role the ocean plays in climate regulation. We need to move towards proper accounting of the value of ecosystems, including the ocean, in order to consider the full costs and benefits in economic and political decision making. Global initiatives such as The Economics of Ecosystems and Biodiversity (TEEB) acknowledge that currently ‘we use nature because she is valuable, we lose nature because she is free’. Their approach aims to quantify ecosystems to internalise their value into policy making and to make companies better understand the value of nature’s inputs, their dependencies on them, and most importantly, the impact they have on them. Our ocean doesn’t recognise international or political borders, so we must tackle ocean and coastal issues globally, with a collaborative approach. Efforts by a single company to control overfishing or stop ocean pollution can only have a very limited effect if they are not met by others that are using the same marine resources. Issues such as the Great Pacific garbage patch, an area twice the size of Texas that is covered in plastic, are caused by such a great number of actors internationally that they can only be solved by a huge simultaneous global commitment. The fact that the vast majority of the ocean isn’t owned or controlled by any entitymeans that we should all take responsibility for protecting its health. We need more collaborative platforms such as the sustainable shipping initiative, which brings together some of the biggest actors in the maritime sector to achieve a vision of a shipping industry that is both profitable and sustainable by 2040. Collaboration of leading companies within a particular industry, or around a specific issue concerning the ocean, creates a space for companies to take a systemic approach to solving maritime issues and maximises impact. It is important for companies planning to take action on the ocean SDG to identify which particular maritime issue is most material to the organisation and focus on a specific solution. Various ocean issues, from acidification and overfishing to plastic and noise pollution, require different approaches and companies can maximise impact by choosing to focus on a solution that is closely aligned with their business model, expertise, or supply chain. Existing corporate initiatives on the ocean, also called ‘corporate ocean responsibility’ by the World Ocean Council tend to focus on raising awareness of ocean issues, without a clear solution. Adidas’ partnership with the NGO Parley for the Oceans is a great example of a consumer-facing brand raising awareness of ocean pollution and illegal fishing by designing a pair of shoes made using ocean waste, but fails to present ways in which the brand is actively preventing plastic from footwear ending up in the ocean. On the other hand, Selfridges’ collaboration with ZSL on project ocean also raises awareness of ocean issues, including plastic pollution, but backs up the programme by practical actions. The chain of department stores has banned all plastic carrier bags and plastic water bottles and has taken all endangered fish off its restaurants’ menus. These steps, although arguably modest, show how companies can move beyond awareness raising and make a tangible impact. With the launch of a sustainable development goal dedicated to the ocean this month, there is hope that our ocean will finally get the attention it deserves. Now is the time for companies, governments, and citizens to recognise the value of the ocean – both tangible and intangible – and take action to protect and improve the health of our seas and coastal areas so they can continue to enable, support, and enhance the lives of all of us on this little blue dot.